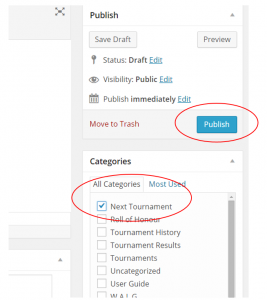 Please use previous articles on Tournament History to determine the structure of your post. 2. Type in the heading, your content. 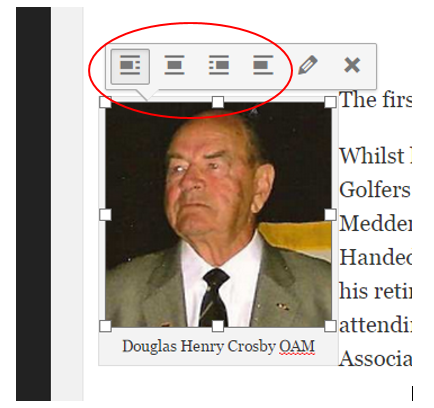 Function buttons are available above the content area to make headings, bold, italicise text and set bullet points. The font style and colors are set at database level in the website and are not able to be changed. Make sure you are on the upload files tab and either, drag and drop the files you want to upload onto the page or click the Select files button. Once files are uploaded check the details on the right side of your screen. Title will show on the website as the name of the photo and the caption should include occasion and who is in the photo. After the photo has been inserted to post, selecting the photo will display a menu above the image. Using this menu you can align the photo (left, center, right) and by clicking the pencil icon you can edit the title and caption. 4. 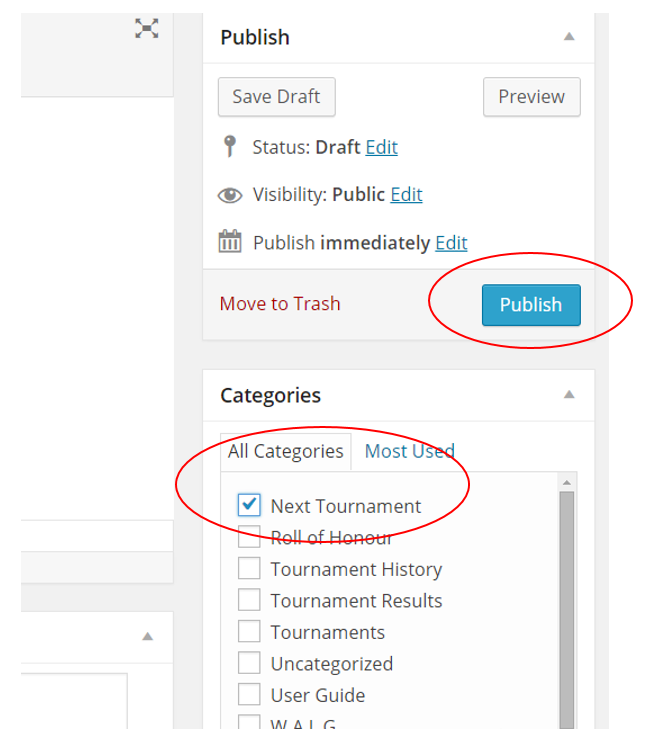 To ensure your new post is added to the correct area of the website check the category Tournament History, make sure Uncategorized is unchecked. 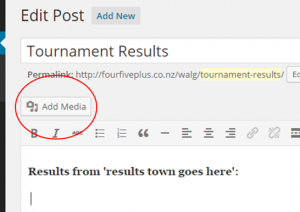 Before publishing (saving) the post you are able to preview to make sure it looks ok.
Once published return to the website and check that the post is in the right place and is displaying correctly.